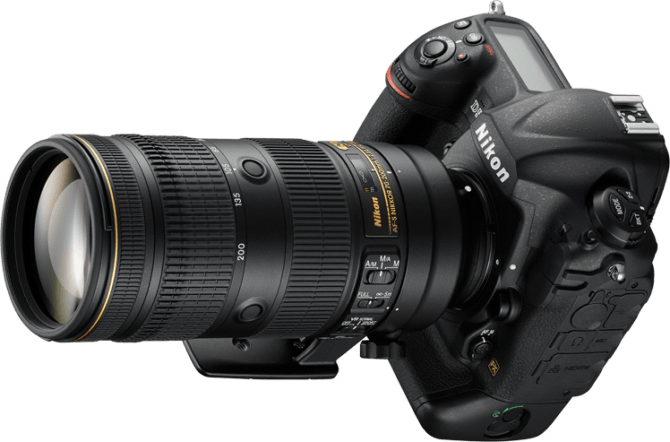 When Nikon updated the 70-200mm f/2.8VR with the VRII in 2009, it was much celebrated. Finally the vignetting issues that had plagued the original for full frame/film users had been fixed. While the VRII was just as successful as its predecessor it was quite heavily slated for focus breathing issues at the long end. Now, that has been replaced with the new Nikon AF-S Nikkor 70-200mm f/2.8E FL ED VR. 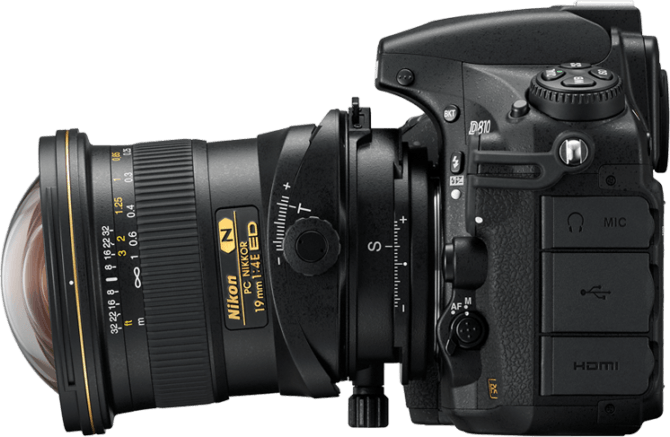 Nikon have also announced a new addition to their Perspective Control (PC) line of lenses. The ultrawide full frame Nikon PC-E Nikkor 19mm f/4E ED Tilt-Shift lens. Previously the widest lens in the PC Nikkor range was the 24mm f/3.5D, so this presents a pretty substantial increase in field of view. The newest update to Nikon’s f/2.8 telephoto zoom refreshes the lens to add electronic diaphragm. This puts it in line with Nikon’s other recent lenses, providing a more consistent exposure when continuously shooting. For timelapse shooters, this theoretically means little or no aperture flicker between shots. One obvious visual difference is the swapping of the zoom and focus ring positions. Nikon say this is for more balanced handling, and I can see why. Reaching out to the end of a long lens while handholding to manually tweak the focus is a pain. Having to move your arm further away from your body to reach it also reduces stability. So this is a very welcome change. It should also make it easier to work with follow focus systems when using video rigs. A new magnesium alloy lens barrel along with HRI and fluorite elements mean that the lens is lighter than both of the previous generations, yet extremely durable. The Vibration Reduction (VR) enables shooting at shutter speeds up to 4 stops slower than you might otherwise be able to handhold. A Sport VR mode offers a more stable viewfinder when tracking very fast action. VR : 4.0 stops in normal mode. VR modes : Off, Normal, Sport, and can be used with tripods. Construction : 22 elements in 18 groups (6 ED, 1 fluorite and 1 HRI element, nano crystal and fluorine coating). Dimensions : 85mm diameter, 202.5mm length. This is a completely new lens, expanding Nikon’s range of perspective control tilt shift lenses. 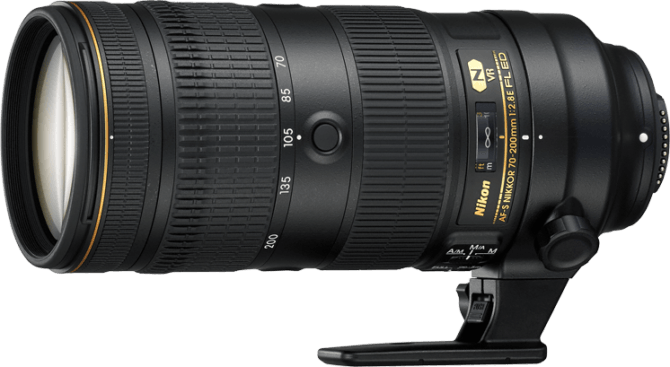 Previously, the widest lens in this range was the Nikon PC-E Nikkor 24mm f/3.5D ED. A much loved lens, but felt by many to be not quite wide enough. 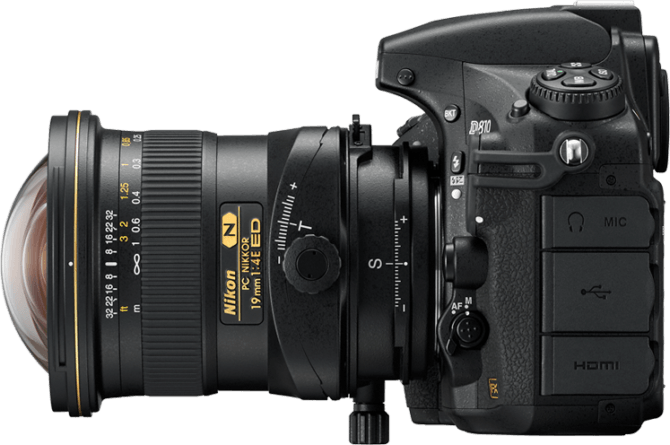 Nikon have now responded with the 19mm f/4E ED. This change in focal length expands the field of view from 84° to 97° (72° on DX bodies), which is a pretty dramatic difference. Two aspherical lenses reduce coma and other types of aberration. Three extra-low-dispersion (ED) minimise chromatic aberration, and the Nano Crystal coating helps to eliminate ghosting and flare. Nikon claim this helps even with backlit situations, and while it may not eliminate it completely, it should definitely help. With a lens this wide, it’s often difficult not to get light sources in the shot and have at least some part of it backlit. Both the tilt and shift mechanisms can be engaged individually or in combination. Tilt can be rotated up to 90° in either direction, and the whole lens can also be rotated up to 90°. The shift mechanism offers a smooth operation, and it’s a pretty compact lens. Nikon’s fluorine coating actively repels water, dust and dirt without compromising image quality. Both lenses are available for pre-order now. The PC-E Nikkor 19mm f/4E ED costs $3,396.95 and the AF-S Nikkor 70-200mm f/2.8E FL ED VR is priced at $2,796.95. Shipping begins during November. Let’s just hope the new 70-200mm f/2.8E isn’t plagued by the focus breathing issues of its predecessor. Will you be upgrading to the new 70-200? How about the 19mm tilt shift? Will it let you finally get the shots you’ve previously been unable to get? Tell us what you think in the comments. nikon makes the excellent canon lenses, who are not cheap either, look like a bargain. the very good canon 70-200mm f2.8 II can be bought for $1,899. hmmm… ‘plagued’, it’s part of the lens design not a failure of usage. BTW, it’s only the internet that has an issue with this, real photographers never gave it a second thought.